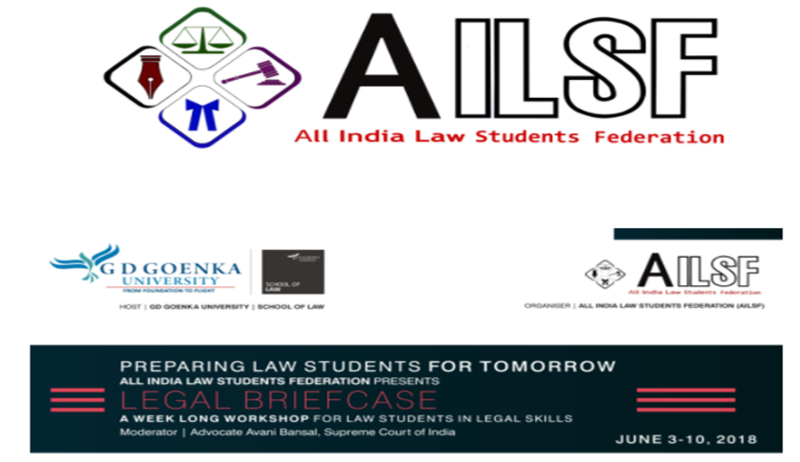 The All-India Law Students’ Federation (AILSF) is organizing a course, Legal Briefcase, for law students across the country. The week-long course aims at inculcating practical skills like legal writing, research, advocacy, communication, analytical and critical thinking. The course will be hosted by School of Law, GD Goenka University. The brochure for the event can be accessed here.